The Brisbane Lions may have fallen short in their AFL Women’s practice game against Greater Western Sydney, but the dress rehearsal was the perfect opportunity for the Lions’ next breed to find their feet at AFLW level according to new-Lion Lauren Arnell. Arnell, who made the cross to the Lions in the offseason from Carlton, was one of many new faces to don the Lions’ maroon for the first time in the 47-point loss at Leyshon Park. Despite the scoreboard in which the GIANTS recorded 20 more scoring opportunities than Brisbane, Arnell was adamant the team will be better off from by the time Round 1 rolls around. “The opportunity we take from the game is that we play all of our new side and we get a good look at what our best side will start to look like,” Arnell told aflq.com.au. “It’s a nice big step up for the girls today fresh into AFLW. Arnell joined the likes of Lauren Bella, Jaqui Yorston and Jade Ellenger – all who played extended minutes in the five-term affair – as a few of the Lions to make their unofficial debut in the game. 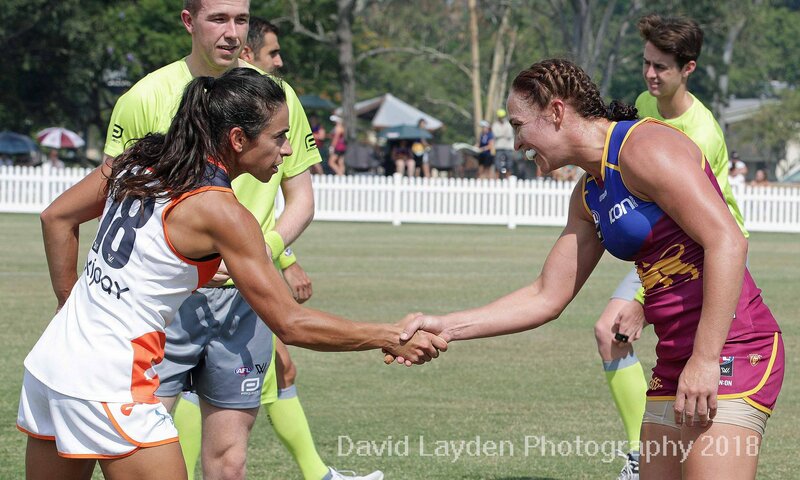 The former Blues skipper lined up on a wing for Brisbane where she was utilised as a link up player between the arcs. Arnell’s role paid immediate dividends throughout the game as she contributed perhaps the highlight of the day for the Lions. Four minutes into the second term, Arnell gathered a rebounding Sam Virgo kick across half back before composing to spot Kate McCarthy in space. From there, McCarthy centred the ball to youngster McKenzie Dowrick inside 50 who duly booted her first goal for the club. The goal – the Lions’ second of the game – broke a string of GIANTS’ forward 50 entries and shifted the momentum in the game’s earlier stages. But Arnell’s addition to the new-look Lions’ outfit was evident and not only via her crafty link-up play but through her presence on field. After winning ten premierships with the Darebin Falcons, Arnell offers a wealth of experience and guidance for the younger crop of players. Yet despite her experience at both AFLW and VFLW levels, Arnell admitted even she was nervous ahead of the first bounce. “I think a healthy amount of nerves is good coming in. You want to do the new jumper and new teammates proud and put a good foot forward going into Round 1,” she said. 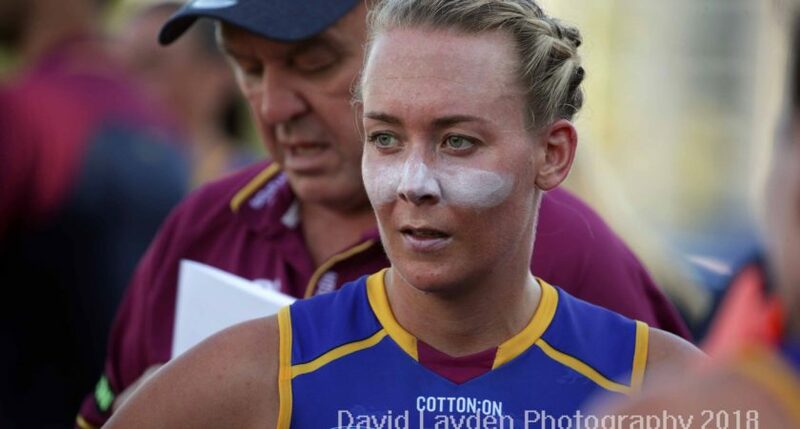 Brisbane’s 2019 AFL Women’s season will commence in a fortnight’s time against Greater Western Sydney at Moreton Bay Central Sports Complex.